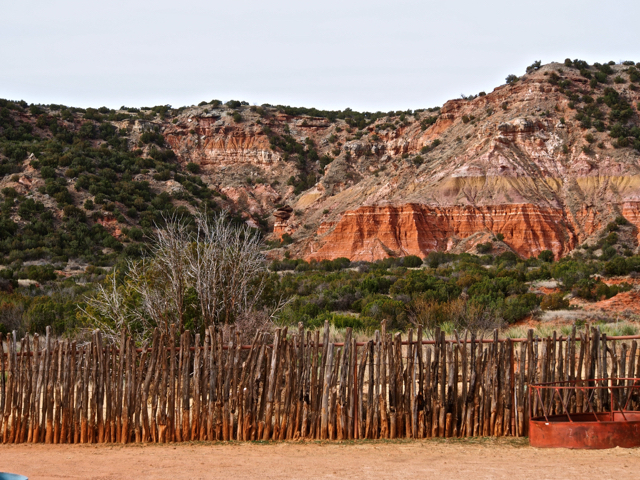 I am settled in at Sagebrush Campground at the bottom of Palo Duro Canyon. 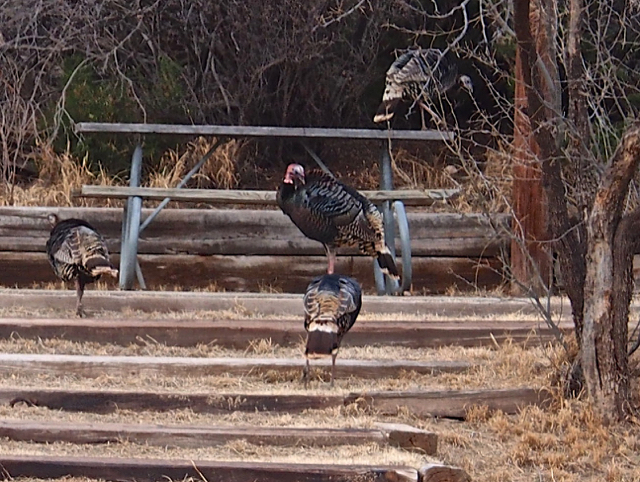 The local turkeys, coyotes and deer have been passing by my site daily. Making their rounds foraging. As a park host I greet campers, do some maintenance, walk trails and roads with my litter bag. The weather has been ideal with temps in the 60s and 70s. That will soon change to some cooler weather. Hoping y’all are enjoying February in your part of the world. This entry was posted in Uncategorized and tagged Living in an RV, Outdoors, tincantravelerPhotos, Volunteer. Bookmark the permalink. Looks like great company! Some snow over here – oh the joy! When it does snow here in the canyon, the next day the sun comes out and melts it all away. 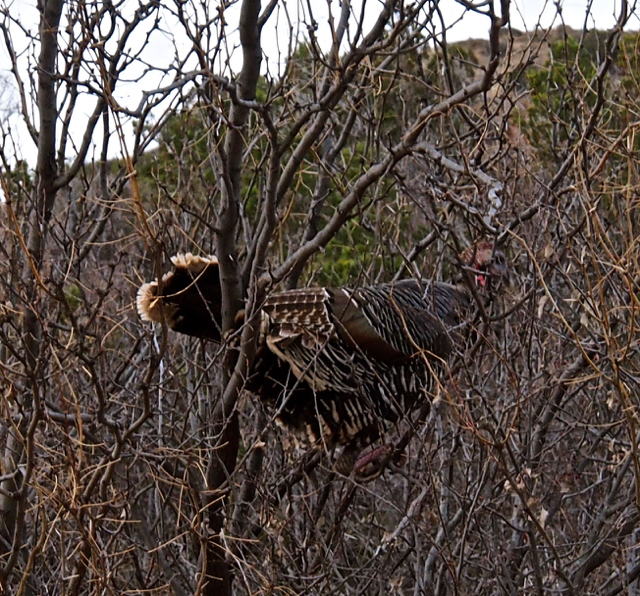 I’ve always wondered how birds get into thorn bushes and trees without getting stabbed – especially turkeys! They don’t strike me as being that graceful. Great pictures, Annie, and a beautiful place to be in February. We’ve just had some snow and now the wind is so strong I’m waiting for trees to start falling. Enjoy the coyotes! It is a wonder here. I appreciate it all. Thank you, Alice. Love the turkey pictures! Really nice shots. Thank you, Sher. Enjoy that snow.